YouTube is the second most visited website in the world according to the Alexa ranking, only beaten by Google's search engine. Therefore, you can imagine that everyone likes it, whether young or old. But are you sure that you want your kids to access millions of videos featuring twerking, dirty dancing, people eating spoonfuls of cinnamon or others throwing buckets of hot water over themselves in the stupid boiling hot water bucket challenge? As you probably don't, the best option is to download YouTube Kids. Well, this is the app for the video site exclusively designed for kids. 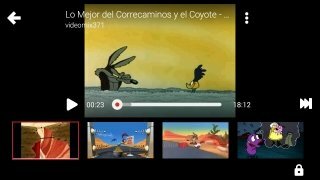 That means that it only offers contents that are appropriate for the youngest members of the household and that also comes along with parental control methods to make sure that the videos played are suitable for their age group. From A Day with the Animals by Kidsongs to all sorts of nursery ryhmes in video format. Designed for kids: the application's design has been conceived for children offering a simplified way to interact with the app. From its controls to its usability, leaving out the most complex elements. Four video categories: programs, music, learn, and explore. Compatible with Chromecast, video consoles and smart TVs to play contents on large screens for the whole family. The favorite videos for modern kids: times have changed since your childhood and kids no longer watch the same videos as you used to. Now you had better try your luck with Pocoyo, Doraemon, and other cartoons that you probably wouldn't be able to understand. Full parental control: the app adapts to the needs of each family. 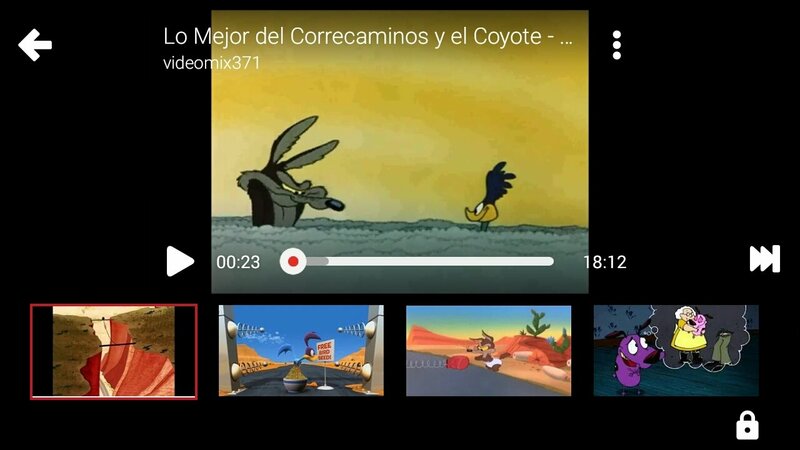 You might not want your child to see how the Coyote falls off the edge of the cliff and gets killed by a rock whilst he tries to catch the Roadrunner, but that's up to you... you can configure the app to only show innocent humor. In this app you'll find all sorts of contents, so don't wait any longer to download the kiddies version of YouTube, which is also available for iPhone, although not for PC. You can always download the APK and run it with BlueStacks but accessing the web version is probably a better idea.